Residents of three neighborhoods north of Boston racked by fires and explosions caused by overpressurized gas lines last week will be allowed to return home Sunday morning. Massachusetts Gov. 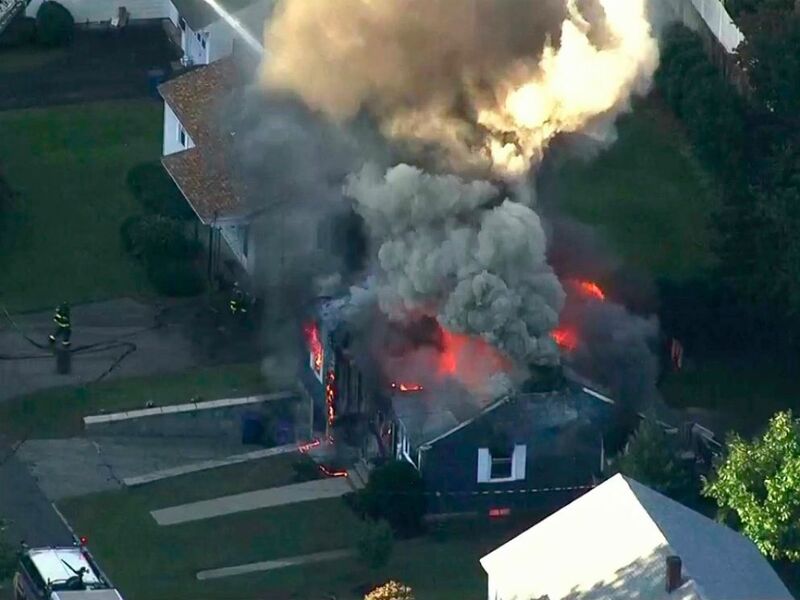 Charlie Baker said door-to-door inspections conducted in the aftermath of Thursday’s gas explosions in Lawrence, Andover and North Andover were expected to wrap up Saturday night and all residents should be able to return home at 7 a.m. Sunday morning. There are at least 12 families whose homes were destroyed who will not be able to return home, officials said. They’ve done inspections on more than 5,000 residences and turned the power back on to all of them. 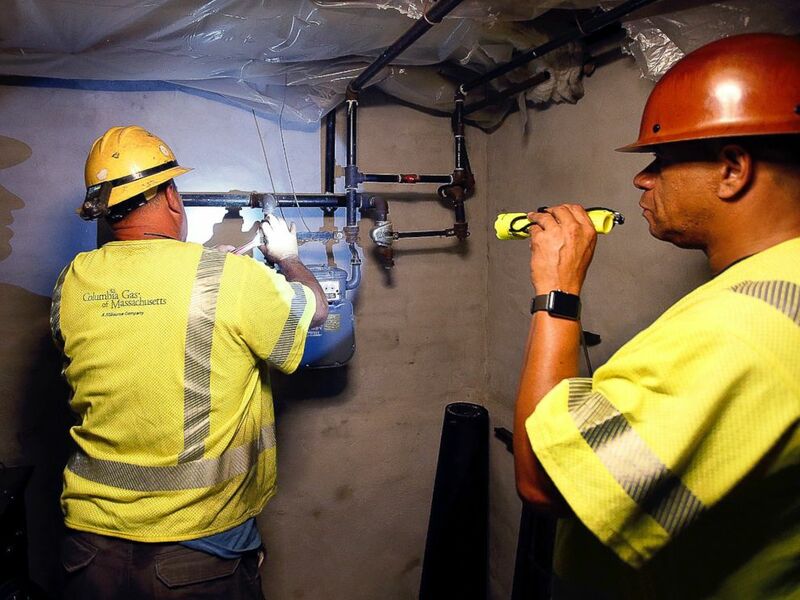 Columbia Gas employee Brian Jones shines a flashlight so his partner, using a wrench, can shut off the gas in a home Friday, Sept. 14, 2018, in Andover, Mass. Baker declared a state of emergency and removed Columbia Gas, which operated the gas lines, from inspecting the homes after saying they were not able to live up to the task. The governor had the Department of Public Safety install fellow energy supplier Eversource to conduct the testing. About 100 technicians from the company began going door-to-door checking homes Friday night. Flames rise from a house in Lawrence, Mass., Sept. 13, 2018. “The only reason we’re in this state is because we got asked by Columbia Gas to do two very important things: first, evacuate everyone. ‘Are you sure you evacuated everyone south of the river?’ ‘Yes.’ So we did it,” Lawrence Mayor Dan Rivera said Friday at a press conference with Baker. “The second thing they asked us to do was shut off the power. ‘Are you sure?’ ‘Yes, shut off the power.’ Those are the last two coherent pieces of information we got from Columbia Gas. Everything since then has been obfuscation and they’ve not met their mandate. “They’ve promised hundreds of teams of technicians. None have materialized,” he added. 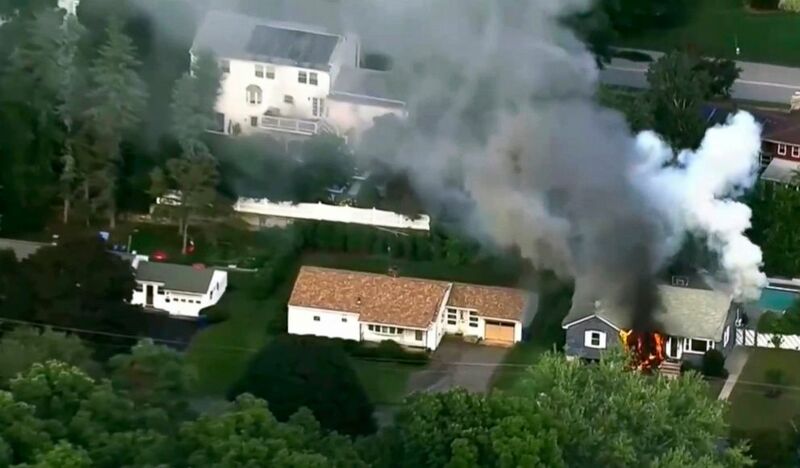 Leonel Rondon, 18, was killed after one of the explosions sent a chimney crashing onto his car, Massachusetts State Police said. Rondon had received his driver’s license the same day, his friend Anthony Gil told ABC News. Twelve others were injured in the explosions and fires. Columbia Gas has been fined $100,000 over the past seven years by the state of Massachusetts for violations, including improper pressure testing, according to Boston ABC affiliate WCVB. Lawrence, Andover and North Andover are about 30 miles north of Boston, near the New Hampshire border. ABC News’ Whitney Lloyd contributed to this report.